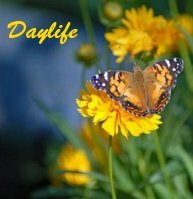 Daylife is a part-time day program for young adults with disabilities. We meet Mondays through Thursdays, year round, from 1pm to 5pm. Our purpose is to continue learning and expand friendships. Our Daylife program includes current events, music, structured fun, academics, service projects and developing vocational skills. For more information contact Cana Farr, (256) 617-0915 or click here to email her.